Keeneland announced a takeout increase back in August. Win Place Show was hiked to 17.50% (the maximum allowed by Kentucky state law.) --This is an increase of 9.375% vs. the previous takeout rate of 16.00%. Exacta, Double, Trifecta, Superfecta, Pick3, and Pick4 were hiked to 22.00% (again the maximum allowed by Kentucky state law.) --This is an increase of 15.79% vs. the previous takeout rate of 19.00%. We polled HANA membership. 63% said they wanted a boycott. 28% said no. And 9% said other. Based on that we organized a boycott. Keeneland's fall 2017 meet is now in the books. Keeneland was down more than $11.3M or about -8.52% vs. their fall 2016 meet. How much of that -8.52% is because we announced a boycott -- and how much is simply the market speaking is anyone's guess. At first glance, -8.52% might not look like it's all that bad for them. But I think putting blinkers on and looking ONLY at last year's fall numbers would be a huge mistake. Keeneland was the big dog on the block among the A tracks. They out-handled both Belmont and Santa Anita. They ranked #1 in market share vs. the other tracks they compete with for handle dollars. Keeneland has been replaced as the big dog on the block. Belmont now ranks #1 in market share among the tracks competing for handle dollars this fall. Keeneland lost ground to its competitors. These are terrible results for Keeneland. The question isn't whether or not Keeneland had a takeout increase and underperformed the market by a good -20%. The question is whether or not anyone is listening. Fast forward 15 days into their fall 2017 meet - and Keeneland is down more than $10M or about -8.53% vs. the first 15 days of their fall 2016 meet. How much of that -8.53% is because we announced a boycott -- and how much is simply the market speaking is anyone's guess. At first glance, -8.53% might not look like it's all that bad for them. But I think putting blinkers on and looking ONLY at last year's numbers to this point in the meet would be a huge mistake. Belmont has replaced Keeneland as the big dog on the block. Belmont now ranks #1 in market share among the tracks competing for handle dollars this fall. Right now Keeneland is losing ground to its competitors. In absolute terms, Keeneland is down roughly -20% from where they would be if they hadn't had a takeout increase. There is every reason to believe Keeneland would still be the big dog on the block with the #1 rank in market share -- and their handle to this point in the meet would be 20% higher than it is now. Let's keep to the task at hand and remember what we're boycotting for. We're boycotting because we're trying to send a clear message. We're boycotting because other tracks are waiting to see what happens and we want them to think twice before having takeout increases of their own. I'm asking each of you to take it upon yourselves to reach out to other horseplayers. Tell them about the boycott. Together we can convince Keeneland to reverse their decision. Advocating for horseplayers and betting customers is as old as the day is long. There are the very influential - Beyer, Crist, Maury Wolf - and there are the grassroots - people like you and me, on twitter, or on chatboards, who take time to post or write their thoughts. Everyone, from the loud voices the small, is their very own horseplayer advocate. 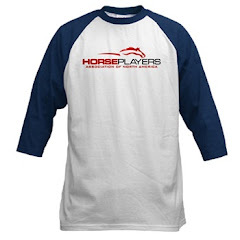 Here at the Horseplayers Association, we're no different, even though sometimes we may be looked at like we are. HANA, as an organization, is 100% volunteer. How this works, and how people get involved is pretty simple. Let me share a case to illustrate. One member noticed several issues with past posting (races being bet after the bell rung) over the years. He, like most squeaky wheels, tended to be ignored by the tracks he was trying to help. 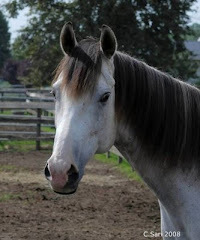 He got in contact, and since HANA did have some cache as an organization, he began to advocate under the HANA banner, as a member in charge of wagering integrity questions. He donated his time on an important horseplayer cause, and shed light on various issues. Ray Paulick picked up the Hollywood Park incident, and he was able to share his findings with a larger audience. Although the problem is not 100% rectified, his voice - a grassroots one - was very important. Other issues are addressed in a similar fashion. One of the founding members was also a horse owner, and questions revolving around trainers and positives was something he was interested in. HANA members were as well - drugs and potentially "bad trainers" scored high on our polling of members, so it fit nicely. He worked with the RCI on their trainer positive database, as a horseplayer advocate. Some, like Jeff, is a data person, so he, over the years has worked on behalf of players to try and get better horse racing data. Reporting first time geldings, having SMS updates from Equibase on scratches and changes, are two such things he took the lead on. Jeff hopes to one day have the gelding reporting issue solved in a way we can all be happy with. Others wanted to address other issues that many horseplayers believe in - some of them simple things, like all tracks showing exacta and double probables in the same $1 or $2 increments, and reporting payouts in a uniform way. They took the lead on that (that we were told this was "incredibly difficult and not worth our time" is more of a reflection on the sport, in our view), as an advocate. Others want the industry to card better races for us to bet, so he went to bat to try and get a large study completed on what makes bettors tick, through proper pricing, field size etc. The wheels were set in motion on this - with the generous help of the New York Racing Association - and there's a chance this study will be completed in the near future. Large issues that players complain about - let's take for example the Keeneland takeout hike - are looked at similarly, but a little different. If the inbox is filled with an issue like this, the process involves a poll of members, gauging their support and interest, and offering a few solutions that they think are reasonable. For any action like the Keeneland boycott, the direction comes from the members alone. HANA members are very cognizant of pricing, clearly, because our polling shows it is the member's number one issue. At that point a few people who are behind the "boycott" and want to donate their time and money, swing into action as horseplayer advocates. (so far so good on the boycott and we thank those of you who are participating against takeout increases through advocacy). HANA is simply a group of horseplayers willing to donate their time on an issue - any issue. No, it's not a switchboard for problems (unfortunately, and as much as we all wish it was), or an organization filled with staff that can drop everything and look into every issue. That's why we invite you to join, and become a part of something. If you have a horseplayer issue that bothers you (or you're interested in) that you think needs addressing, email us. If the issue is something horseplayers are also for, the organization can open doors for you (yes, most in the industry take our calls), and you can "take the ball and run with it" as a volunteer. We have bi-weekly meetings and can offer advice, and probably some like-minded help. Because, after all, we're all horseplayers like you who want to make the sport better. For those wanting to just join HANA, we appreciate it because there's strength in numbers. It's free, and you can do it right here. Keeneland was down approximately $1.2 Million (-20%) yesterday. 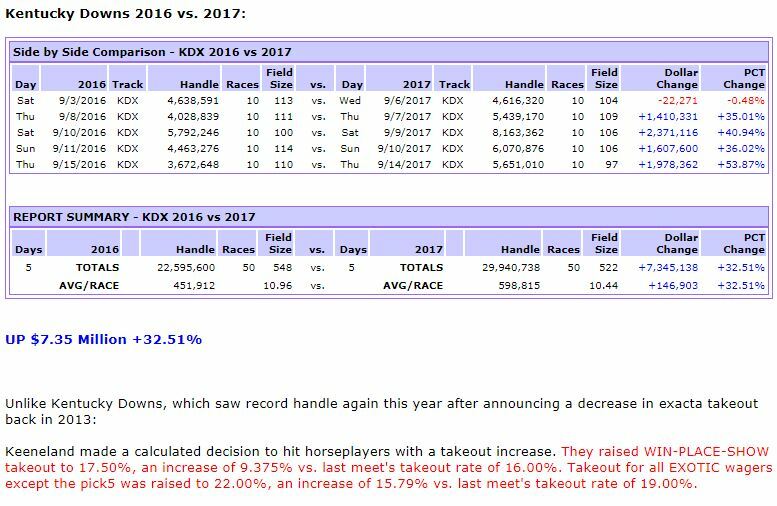 For those of you who may not be aware, prior to their 2013 meet, Kentucky Downs approached HANA with the idea of lowering their exacta takeout from 19.00% to 18.25%. 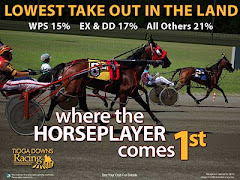 They asked if we would help promote the decrease in takeout by getting the word out to as many horseplayers as possible. We thought it was a great idea and were happy to help. 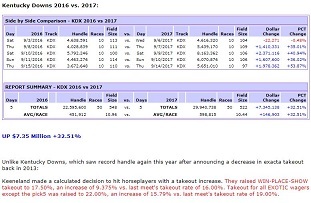 Kentucky Downs has seen record handle in each of the ensuing five years 2013-2014-2015-2016-2017 and has more than tripled their handle in that time. Keep in mind that this came about by taking the novel approach of asking a horseplayers association to help them promote a three quarter point drop in exacta takeout. Yesterday a horseplayer asked me: "If there's one thing you could tell Keeneland they need to be doing different what would that be?" I would tell Keeneland they need to be doing exactly what Kentucky Downs did back in 2013. Even though we're off to a decent enough start and Sunday saw them down 30%, I fully expect them to use "It had nothing to do with the boycott" and "the weather" and "field size was down" as excuses. So let's keep to the task at hand and remember what we're boycotting for. Between now and Wednesday, I'm asking each of you to take it upon yourselves to reach out to other horseplayers. 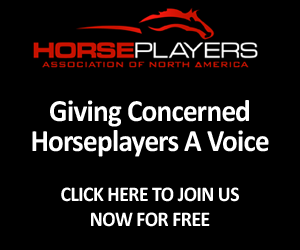 HANA and Playersboycott.org have jointly announced that a horseplayer boycott of Keeneland is underway, citing an increase in takeout despite a revenue windfall from Historical Racing machines located at The Red Mile as reasons for the boycott. "Keeneland decided to hit horseplayers with a takeout increase," HANA President and Playersboycott.org spokesman Jeff Platt said. "Keeneland claims they are going to use money raised by the takeout increase to boost purses. But higher takeout in the name of bigger purses has been tried before and it has failed, big time." "For the first 6 months immediately following the takeout increase at Los Alamitos in 2010 on track handle was down 27%. Horseplayers boycotted Santa Anita and Golden Gate in the early months of 2011 as a result of takeout increases there. Instead of bigger purses the result was purse cuts and layoffs. In October, 2011 the local paper in Arcadia, CA where Santa Anita is located reported Santa Anita was cutting one third of its staff. Churchill had a takeout increase for their spring 2014 meet. Handle fell by 25% outside of the Derby and Maggi Moss reported on her Twitter account that Churchill had quietly announced a 20% purse cut for their fall 2014 meet. None of this would have happened if higher takeout was the answer. Keeneland is doubling down on the same bad idea." 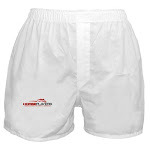 "I reached out to Bob Elliston of Keeneland and we had a 90 minute phone call. We discussed the actual outcomes that arose from the above takeout increases. But it became obvious that Keeneland believes players would support a takeout increase because money raised by the takeout increase would be going to bigger purses. I did my best to make it clear that takeout increases lead to the opposite of bigger purses. In the end we agreed to disagree." 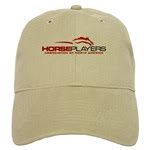 HANA and Playersboycott.org are asking horseplayers to consider the idea that horseplayers are consumers and that every handle dollar bet at Keeneland is a vote for higher takeout everywhere. HANA and Playersboycott.org are asking horseplayers to send a clear message by not betting one track, Keeneland, for one month, October 2017. That’s it. "Join us. Together we can convince Keeneland to reverse their decision."